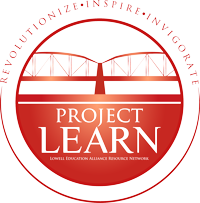 Project LEARN is proud to work closely with Lowell Public Schools, the Nellie Mae Education Foundation, Great Schools Partnership and Everyday Democracy on this community engagement work, as well as with our many community organizations that support authentic school community engagement here in Lowell. 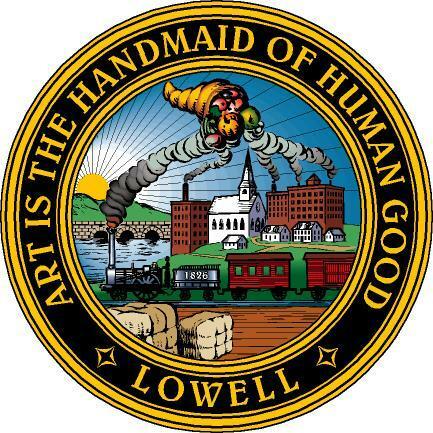 LOWELL -- Until it happened to a classmate, it was hard to imagine. "I had class with her," said Jaeda Turner, a sophomore at Lowell High School. "So for me it was like when you hear those things on the news you don't think it's real, but when it's a person you sit next (to) in class. ..."
For a brief moment, she paused. Turner was a classmate Anna Aslanian, a Lowell High School student who took her own life last fall. Today, Turner is one of the members of Student Voice, a group of students at the school, who among other initiatives, are working to address mental health. Another member, Neyder Fernandez said when he heard about Anna's passing "a lot of my friends and I took that to heart. Lowell High Head of School Marianne Busteed addresses members of the school's Student Voice group, including senior Neyder Fernandez. 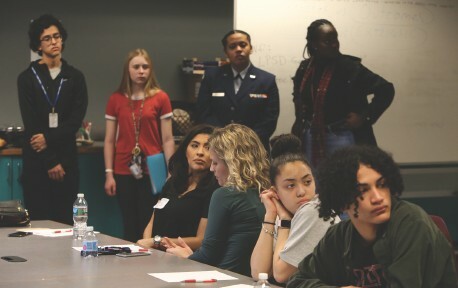 "So we decided to really focus on mental health and helping people get the treatment that they need," said Fernandez, a senior at Lowell High. Head of School Marianne Busteed started Student Voice at the beginning of this school year, following discussions last June with students on what the group should entail. The group is similar to one that existed at her previous job at Nashua High School North, and was further developed for Lowell through the Nellie Mae Education Foundation.